In my last blog post I wrote about the female astronaut candidates who never flew. This was a story from the middle of the last century. Since then many changes have occurred, but can we safely say we are now in the comfort zone and that there is nothing further to be done? As time went on, discussions came to focus on equal rights and therefore very much on the individual. This was a change in thinking that was long overdue as the focus shifted not only onto women but onto other “groups” as well. The fight for equal opportunities in the workplace began to be seen as a genuinely moral undertaking. Part of this process was the introduction of wording in job advertisements such as “applications from women and people with disabilities are particularly encouraged”. 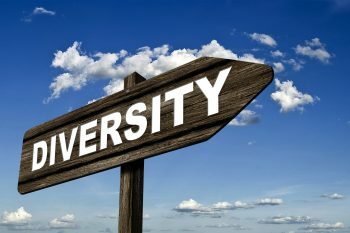 Even if one accepts that this was the right direction of travel, I would stress that diversity is not only about the moral imperative to support under-represented groups and minorities; it also represents an opportunity for many if not all institutions. The tremendous potential unleashed by employing people from different groups and especially in the interaction between people with diverse backgrounds and points of view can lead to outstanding results. One example of this is the international character of ESA, with people from all the Member States cooperating and solving problems together with their differing cultural backgrounds playing a major role in their success. Jean-Yves Le Gall presented as a central aspect of his term as President of the International Astronautical Federation his “3G” diversity platform, the three ‘g’s being geography, generation, gender. While the geography aspect has been rather successfully addressed at ESA, we still have some way to go in addressing the other two aspects: gender and generation. There is a lack of women in the most senior positions within ESA while, with an average age of nearly 50, the Agency has an age distribution which is unbalanced. Diversity, it is important to emphasise, must be understood in the broadest sense. People “with disabilities” can bring fresh thinking which can lead to even better results. Software companies discovered, for instance, that some autistic people can be exceptionally skilled at identifying bugs in software while simultaneously displaying higher levels of creativity. Changing mindsets have been reflected in a change in language, with terms such as “handicap” giving way to “disabilities” and “challenges”. Similarly, we now sense that our thinking should not be overly centred on ideas of the majority and minorities. While we accept both the moral and legal necessity to foster equal opportunities and promote inclusiveness, it is also undeniable that an organisation and its staff have much to gain from a comprehensive, wide-ranging diversity policy. We at ESA should aim to be role models in this respect, valuing difference and deriving benefit from it. Clearly there is still a need in vacancy notices to emphasise the importance of balance in recruitment, yet it is surely not forbidden to dream of a time when equal opportunity rules are rendered obsolete simply because it is standard practice when hiring to view difference as an advantage. So, moving forward we should, even before opening a position, look to gain through diversity and define that as a goal in every one of our vacancy notices. It is so important that our space leaders put the focus on the benefits of diversity and the need for inclusiveness! Many thanks to Jan Woerner! Although the diversity awareness that is currently underway at the space sector is very important, I would like to suggest taking it a step further. First of all, true diversity means more than engineers, architects and chemists playing together. It means going beyond skill type to include all aspects of the human experience and cognitive mindsets: divergence and convergence; artists and geeks; intuitive types and analytical types etc. That’s why organizations struggle to incorporate diverse perspectives. Usually while there are employees from a variety of backgrounds, their thoughts and opinions are often rather homogenous. Secondly, apart from diversity we also need inclusion. Rather than merely have a group of different kinds of people in a room (diversity), organisations must constantly be engaged in the act of inviting, engaging, empathizing, discovering, learning from and teaching the other members in the group (inclusion). An active inclusion mindset asks for more than radical collaboration, it calls on teams to be vigilant in acknowledging the ways in which they may make each individual in the group feel valued, worthy, engaged and successful. Active inclusion also calls on individuals to challenge assumptions they may have about their team members and actively question who is on their team, why and whether they are embracing views and voices wholly different from their own as well as ones not frequently seen or heard. Finally inclusion requires developing a peripheral vision that is “switched on,” and an enthusiasm for engagement that attracts and encourages unexpected interactions. It could certainly be true that people without legs can be as useful in the weightlessness of space. Perhaps even more useful as they are lighter to transport up and down, and are better used to depending on their arms for moving around. But while it is interesting to read from an HR point of view, and I certainly expect ESA to work with the best they can find from any background, sharing this vision about diversity may be abused by anti-PC politicians to cut ESA funding. It is also disappointing that in a time where NASA is putting out commercial tenders to the Moon (even though they do not really care to go there), ESA’s Moonville vision appears to be limited to it’s hypothetical future population makeup. And considering the steps made by the the Indian and the Chinese space agencies, there is a high change most people in space in the coming century will be Asian, no matter what our diversity programs are. Which is not all that surprising considering they have 2/3 of the world population.